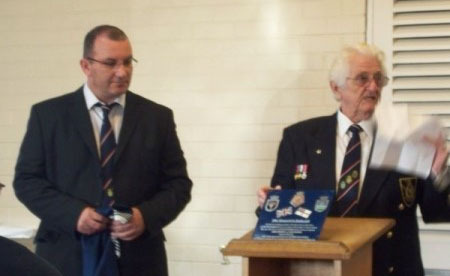 The fifth GLARAC memorial plaque was unveiled at the D Day Museum in Southsea, Portsmouth on Sunday 16th Oct 2011. The location was chosen as the museum is very close to the Portsmouth Naval Memorial that bears the names of those that were lost on-board HMS Acasta. Before the service the group of around 70 attendees met at the Naval Memorial to view the names of those lost on-board HMS Acasta on that fateful day of June 8th 1940. The group then moved over to the museum to begin the memorial service. 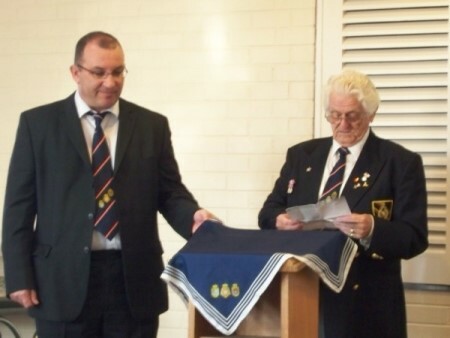 The introduction was given by David Emery (GLARAC Treasurer) whose father, Leonard Emery, was lost on-board HMS Acasta. The group listened as David outlined the aims of GLARAC and mentioned that today was to serve as an act of remembrance and gratitude to all who gave their lives in HM Ships Glorious, Ardent and Acasta in the Norwegian waters over 70 years ago. 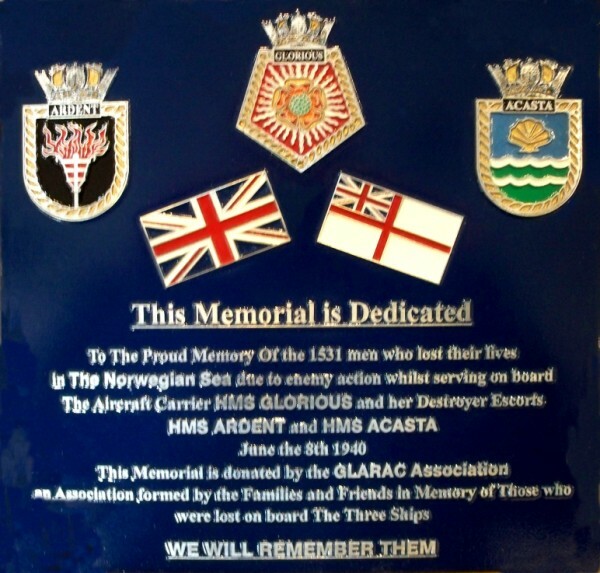 Prayers were said and then the plaque was unveiled by Garry Carter, Grandson of the sole survivor from HMS Acasta, Cyril Carter. 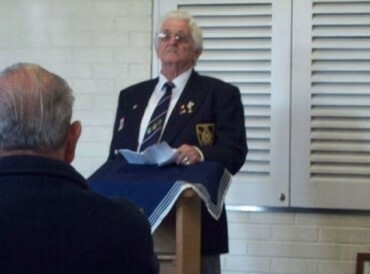 Following further words of remembrance the service was closed by David Emery. 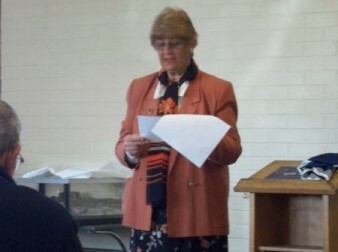 The group were invited to tea and coffee after the event and stories of lost loved ones were shared amongst the members. After the drinks were finished the group were able to tour the outstanding D Day exhibitions on display at the museum. In the afternoon a buffet lunch was kindly laid on at the home of Sheila and Peter Welch in Fareham for those members who wished to attend.